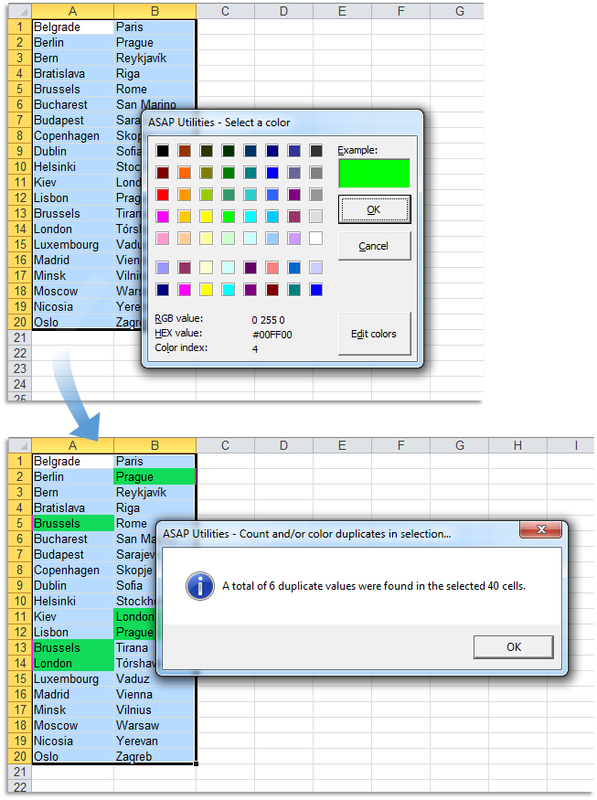 Save 5 minutes a day by using ASAP Utilities to quickly identify the duplicated/repeated values. "How can I see which are the duplicate values?" How can I highlight duplicates in Excel? I need to quickly verify that my list of email addresses doesn't contain any duplicates. I'm using Excel's =COUNTIF() to count duplicates, but all cells with long text entries (>255 chars) are being counted as the same. When I format any column of my spreadsheets to highlight duplicate values, my filtering slows to a crawl. It is entirely frustrating! I noticed the same issue on the last version of Excel and I just got a new pc with a super-fast processor so I don't think it is the computer. Even when I shorten the rows to 2000 I still have the same problem. Is there any better way to highlight duplicate values within a column that will not slow my filtering down? This often a quicker alternative than using Excel's =COUNTIF() function which requires extra steps and is limited to a length of 255 characters. Longer values that are duplicated aren't recognized by this formula. ASAP Utilities doesn't have this 255 characters limit. 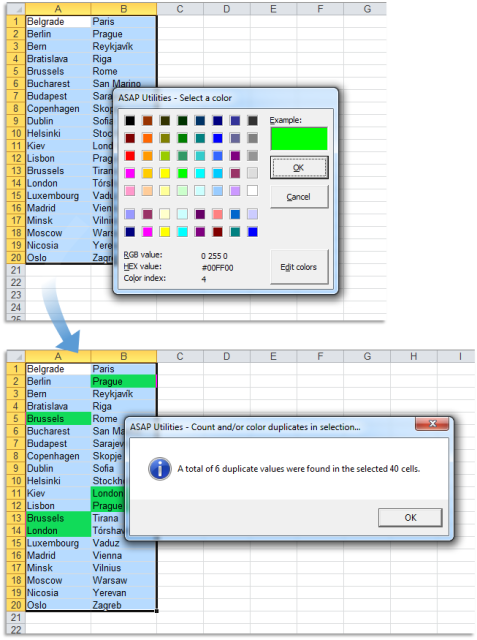 Excel also has the option to highlight the duplicates via conditional formatting. 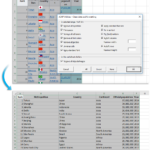 In fact, they've made it quite easy to do this in Excel 2007 and later. 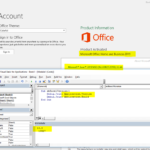 However, this conditional formatting doesn't recognize duplicate entries with more than 255 characters and conditional formatting formulas keep running in the background which can make your workbook slow.